Manufacturers in the EU suffer revenue losses of 60 billion euros ($70.46 billion) per year as a result of counterfeit goods being brought into the bloc, the European Union Intellectual Property Office (EUIPO) said in a report on Wednesday. The report predicted higher revenue losses for manufacturers in the future, with up to 85 billion euros expected to be lost to counterfeiters. "Leniant sentences and high returns on capital are incentives for criminal gangs to engage in counterfeiting activities," the Alicante-based EU agency said. 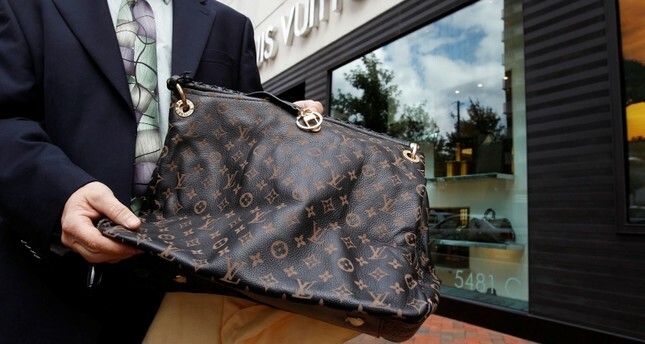 As counterfeiters have become more professional, the range of counterfeit products they offer has increased, with almost all branded products — not just luxury goods — being imitated in the shadow economy. The report analyzed 13 industries and their supply chains, finding that the most commonly counterfeited products included watches, shoes, perfume, cosmetics, and leather and tobacco products. Low prices and "a low degree of social stigma" around purchasing counterfeit goods are among the reasons for consumers to buy fake goods, according to the report. The economic damage of the counterfeit economy is said to cost individual EU citizens 116 euros (135 dollars) per capita. The report found that Albania, Morocco and the Ukraine were the main transit countries for fake goods to enter the EU. A 2016 study by EUIPO and the Organization for Economic Co-operation and Development (OECD) identified Hong Kong, China, the United Arab Emirates and Turkey as the main sources of counterfeit goods in EU.